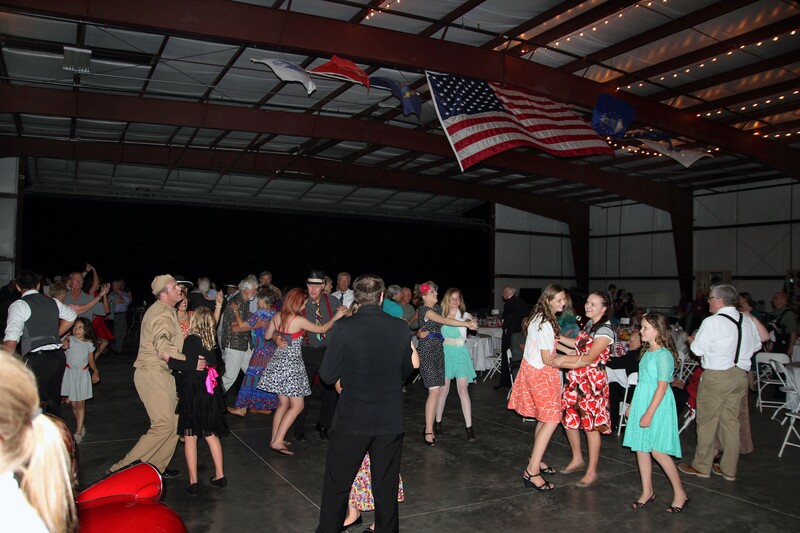 ST. GEORGE — It’s a night for nostalgia, dancing and honoring those whose service and sacrifice helped save the free world as the Western Sky Warbird Aviation Museum hosts its sixth annual 1940s Hangar Dance as part of the “Wings and Wheels” celebration and coinciding with Armed Forces Day. All events will take place May 19 at 4196 S. Airport Parkway in St. George. Wings and Wheels will kick off the festivities at 10 a.m., with the Hangar Dance at 6 p.m. The Hangar Dance will include prizes for the best 1940s costumes, vintage aircraft on display and the Southern Utah Rebel Jazz Band playing hits from the stars of the World War II era. The Red Rock Swing Dance club will perform 1940s-style dances, including their always-popular Andrews Sisters’ routine. A little over 75 years ago, more than 16 million American soldiers, sailors and airmen served during the deadliest conflict in recorded history. From December 1941 to August 1945, they fought in places like Pearl Harbor, Guadalcanal, Normandy and Iwo Jima, and more than 400,000 perished. Few families in America were untouched during World War II. 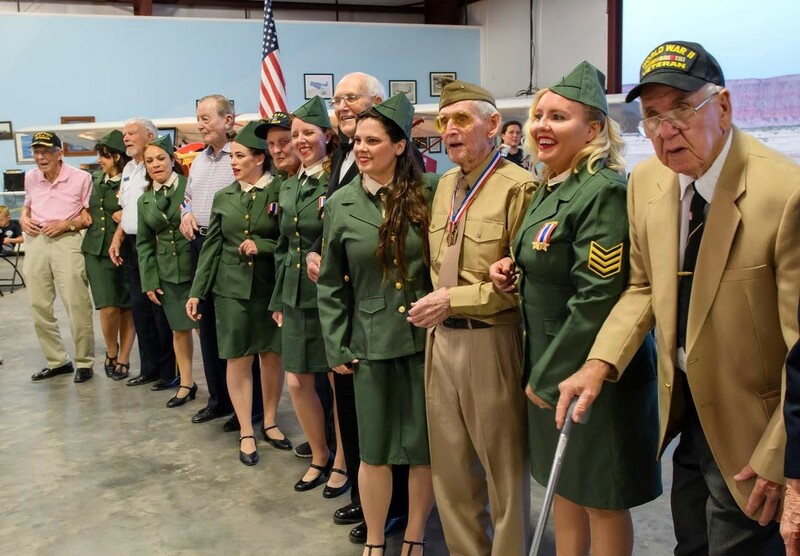 As a sign of appreciation, the Western Sky Aviation Warbird Museum invites all WWII veterans and one guest to attend the dance for free. The veterans will be recognized at the dance, said event organizer Rebecca Edwards. For those wanting to attend the dance, tickets are $20 per person or $35 per couple if purchased by May 18. Tickets can be bought at the museum Wednesdays through Saturdays from 10 a.m. to 4 p.m., or by calling 435-229-4985. To purchase a ticket online, simply go to the museum’s website and donate the ticket amount. Print the receipt and show the receipt at the dance. There may be tickets available the date of the event, Hunter said. Those tickets, if available, will be $25 per person and $45 per couple. For those not as interested in donning their dancing shoes, the Wings and Wheels event jump starts the day and will go from 10 a.m. to 3 p.m. Vintage aircraft and classic cars will be in abundance, along with vendors, museum displays and aircraft fly-bys. Aircrafts making fly-bys include the Korean war era MiG-15 UTI, T-33 Shooting Star and the British Jet Provost. Food vendors include Zeppe’s and Lonny Boy’s Barbecue. Tickets to Wings and Wheels are $5 and can be purchased at the gate. Children 17 and under and all veterans and active-duty personnel are free. Warbird rides – aboard either a T-6 Texan or Twin Beech aircraft – will be available for a fee. Information on rides in these warbirds are here. What: “Wings and Wheels” daylong celebration of Armed Forces Day, including the sixth annual Hangar Dance. When: Saturday, May 19. | Air and car show from 10 a.m. to 3 p.m. | Dance at 6 p.m.
Where: Western Sky Warbird Aviation Museum, 4196 S. Airport Parkway, St. George. Cost: Wings and Wheels – $5 per person |Dance – $20 per person and $35 per couple in advance. Details: Call Jack Hunter for more information 435-669-0655. Isn’t dancing illegal in St George?….or that’s right, they have a permit….Yay! Happy dance, whoops, sorry, I don;t have a permit….Happy walk!